SANTA FE TODAY : Food King and Lowe’s grocery stores are giving shoppers in Santa Fe and Albuquerque new motivation to eat more locally grown fruits and vegetables this season. Shoppers who receive Supplemental Nutrition Assistance Program benefits (SNAP, formerly known as food stamps) can now receive dollar-for-dollar match—up to $25 per visit—when they purchase New Mexico-grown fresh fruits and vegetables at participating locations. This means, for example, that SNAP customers who bring $20 worth of qualifying produce to the cash register are only charged $10 to their electronic benefits transfer (EBT) card. On Wednesday, when the program rolls out, a representative from Roadrunner Food Bank will be on hand at the Albuquerque 4th Street store to help shoppers sign up for the federal SNAP program. 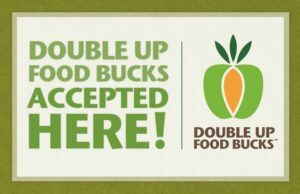 The Double Up Food Bucks program is administered by the New Mexico Farmers’ Marketing Association at 80+ locations across the state, including farmers’ markets, farm stands, and select grocery stores. 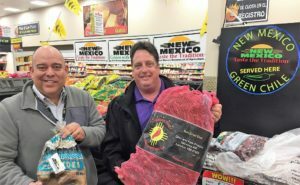 Shoppers can visit Food King in Santa Fe located at 1700 St. Michael’s Drive from 7:00AM to 10PM and the Lowe’s 4th Street location in Albuquerque from 7:30AM to 9:00PM. In the Albuquerque area, Food King is known as Lowe’s Grocery Store. It is located at 4701 4th St NW in Albuquerque, about 10 miles from Rio Rancho. Their number is (505) 341-0088.